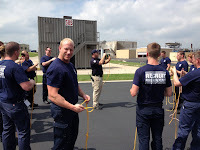 I wasn’t sure where to begin when I decided to pursue a career in firefighting. I asked around and contacted a few firefighters I knew and asked them where to begin. 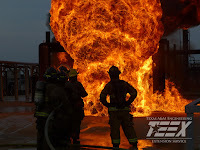 Most of them had either taken the course at TEEX or recommended it as one of the best places to get your certifications and begin the long road to becoming a firefighter. After a little research and speaking with Chief Jason Loyd, I knew it was the right place for me, and I grew excited the more I found out about the city and the training grounds, Brayton Fire Training Field and Disaster City. Trying to balance the many hours of studying/work involved to become a firefighter with the duties and responsibilities of having a family can be tough, stressful and time-consuming. Obviously, I couldn’t afford to take 3 months away from my family and work, so the layout of the online TEEX program suited me perfectly. I knew the program wasn’t going to be easy, especially the hands-on boot camp portion down in Texas, but I’m motivated by challenges. 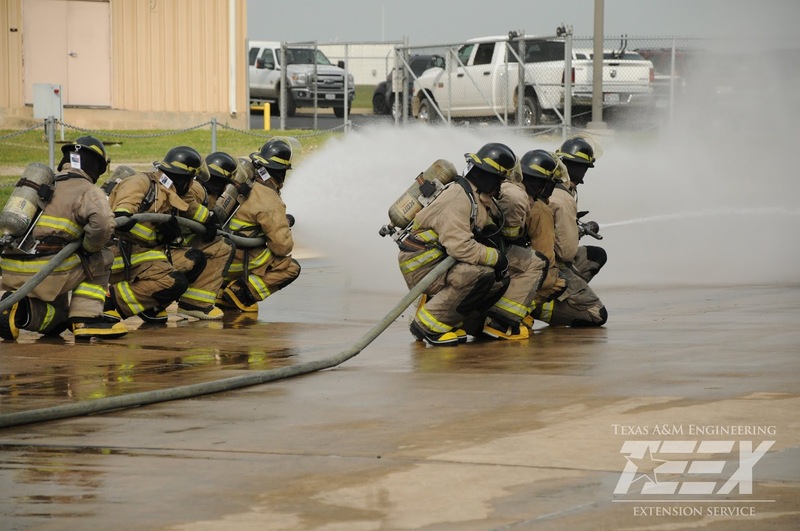 I wanted to have TEEX on my resume to prove I graduated from the best program out there when it came to preparing you to become a firefighter. I’m working part-time for a station right now, and my goal is to ride the trucks and get as much experience in the field as possible. I love the fact that I have to be at my best when a lot of times I’m dealing with people who are at their absolute worst. The adrenaline rush you experience racing to the scene of an emergency is second to none. I can’t imagine a better career if you like working in a team environment and serving your community. I feel as though firefighting is a job I’ve been training for my whole life. There are obviously a lot of similarities between being a professional baseball player and a professional/volunteer firefighter. As mentioned before, I spent my whole life working as part of a team, so that’s of utmost importance to me. The bond you make with your teammates and fellow firefighters is something you keep with you your whole life. I still attend family functions and BBQs with past/current players, which is something I’ll also be doing with members of my fire hall. Physical fitness is imperative if you want to have success in either field. 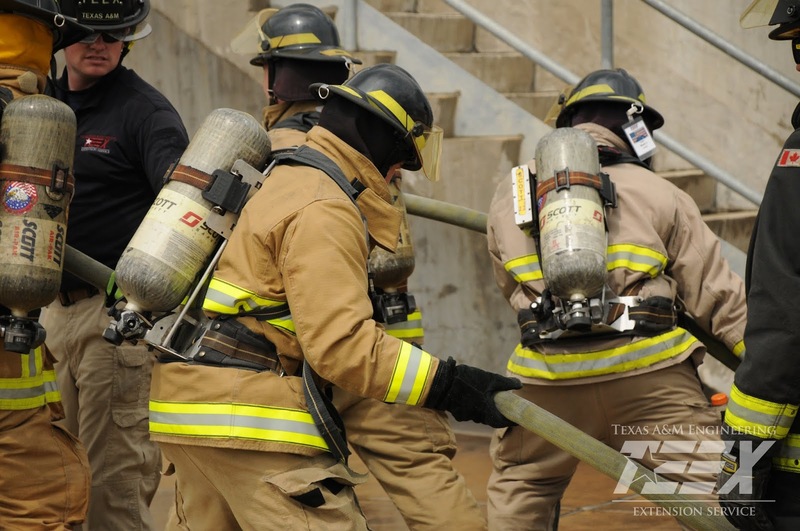 Dedicating yourself to a physical training routine and living a healthy lifestyle is something I learned as a professional athlete, and it is something that I’ve carried with me and applied to my firefighting career. 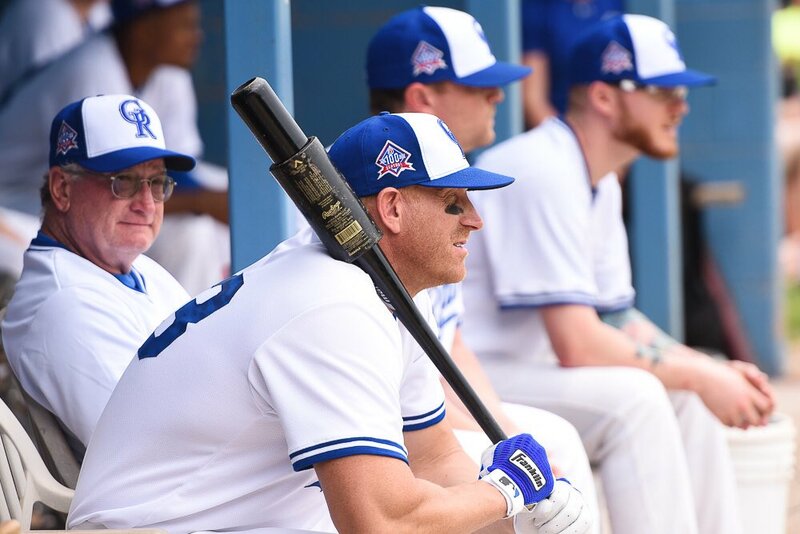 Playing baseball in front of thousands of people, while both succeeding and failing at times, has taught me how to work in and deal with stressful situations. When it’s all said and done, one of the most enjoyable things is going out to unwind with your teammates after a hard fought win or a rough day at the fire hall. These people become your family away from home, and you can really count on them for anything. There aren’t a lot of professions out there that allow you to really look forward to going to work each and every day. Again, I can’t emphasize enough how amazing the instructors and students really are at TEEX. I graduated roughly 2 years ago and still stay in contact with a lot of them. I can still count on them to answer any fire-related questions I may have or even just lend me advice when it comes to the firefighter recruitment process. Without a doubt, they continue to help me pursue my dream of being a full-time firefighter, and without them, I’m positive I wouldn’t be as close as I am now to realizing my dream. 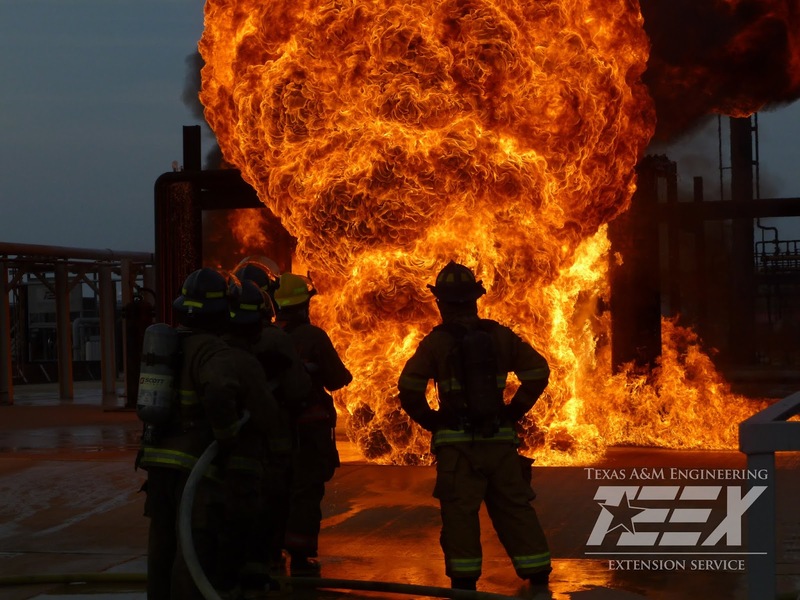 I’m honored to say I graduated from such a highly regarded program and never hesitate to recommend TEEX to anyone interested in pursuing a career as a firefighter. 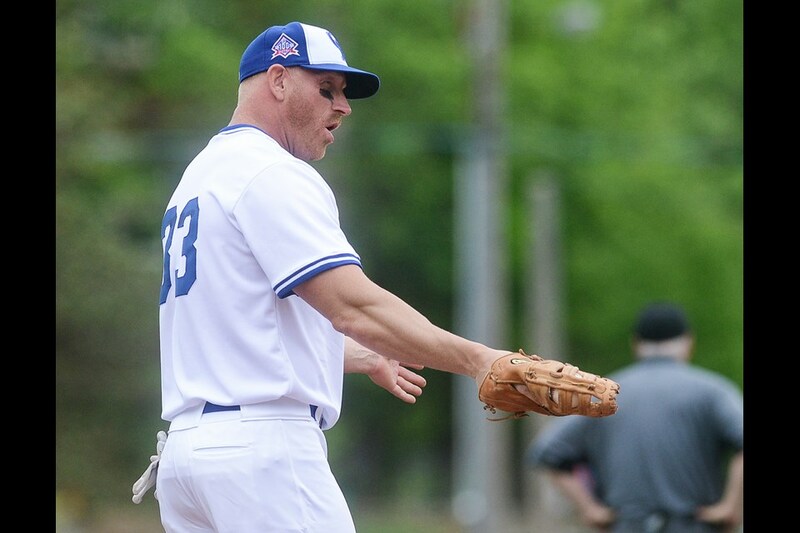 Great article about Sean in the Grand Magazine and his page on the Guelph Royals Canadian Baseball Team website.